With the support of Agropolis Fondation (Investissements d’Avenir programme - LabEx Agro [ANR-10- LABX-001-01]) in the framework of I-SITE MUSE (ANR-16-IDEX-0006) and with the support of Occitanie/Pyrénées-Méditerranée Region. Several French national and European research infrastructures and data and computation centres essential for managing complex systems are also based in Occitanie. Occitanie has become one of the most outstanding hubs of research in this field at national and European levels. 3 joint technology units (UMTs), experimental units and field stations, conducting studies in the field or in technology centres for research units and public and private partners. 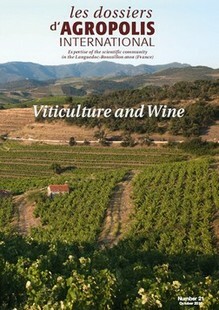 This special issue showcases the broad range of training, research and innovation expertise of regional stakeholders in the fields of viticulture and wine. meeting digital challenges in the sector and a cross-cutting chapter illustrating how—through transdisciplinary programmes—climate change adaptation and sustainable vitiviniculture challenges can be addressed by combining these skills and expertise. This Dossier also highlights the broad scope of partnerships developed by regional scientific stakeholders with the academic sector in France, Europe and worldwide, and with the private sector to support and facilitate top notch research and training, so as to meet the needs of stakeholders in the sector, and of consumers, while fostering innovation. The range of diploma training-education courses (2-5 years of higher education) offered by Agropolis International member institutions in the viticulture and wine sectors are also presented. Issue realized with the partnership and support of INTA and EMBRAPA. This issue of Agropolis International Dossier is a report on the presentations and discussions which took place during the seminar “Research, development and innovation for the Family Farming in the South” (4th June 2014, Montpellier-France), organized by Labex-Europe of EMBRAPA, Labintex of INTA and Agropolis International. This seminar has been organized in parallel with the International Encounters held between 1st and 3rd June 2014 in Montpellier; it allowed the participants to interchange over the challenges faced by research for the family farming in Argentina and Brazil and consider future lines for research and cooperation performed between Agropolis International, Labex-Europe of EMBRAPA, Labintex of INTA and the French research institutions. 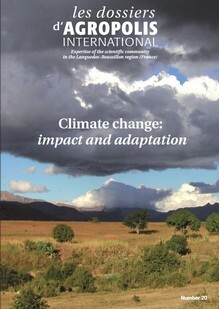 This Dossier showcases research structures based in Languedoc-Roussillon Region whose activities are focused on addressing challenges ncountered in studies on climate change impacts and adaptations. Scientific research carried out by the regional research stakeholders on climate change impacts and adaptations is very broad in scope. This Dossier - which is far from being comprehensive- aims to give readers an overview of this research by highlighting the stakeholders involved and giving a few practical examples of their research activities. Agropolis International members also offer a broad range of diploma training-education courses (2-8 years of higher education) in which the climate change issue is taken into account in the light of the most recent advanced research on the topic. 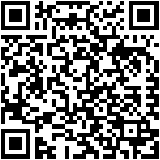 The list of training and education courses is available online. World agriculture is overwhelmingly dominated by family farming, which is the leading rural employment source and food provider. The 2014 International Year of Family Farming launched by the United Nations spotlights the importance of this system, providing an opportunity for the Agropolis International scientific community to showcase its high long-standing commitment to research ‘on’ and ‘for’ family farming. 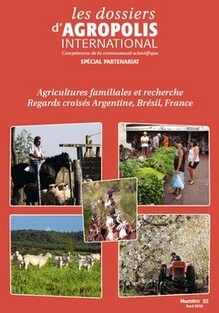 The topics covered in this Dossier concern 21 research units based in Languedoc Roussillon Region, involving over 1 000 researchers whose activities are fully or partially focused on addressing—in collaboration with many partners—major family farming challenges in France and worldwide. 15 research units based in the French Languedoc- Roussillon region and Avignon, involving over 700 scientists and around 500 PhD students are striving to deal with major current food and nutrition issues, in association with health concerns, through all or part of their research activities. These teams conduct rich and varied research to tackle the complexity of these issues, encompassing social, economic, health and environmental factors, etc. This Dossier also voices the opinions of innovation stakeholders concerning their activities in this field. Regional technology platforms supporting research on food, nutrition and health, and advanced training opportunities in related areas are also described (42 degree courses entirely focused on the theme or including significant components related to the theme and 27 Short non-degree programmes). Scientific coordinator: Jean-Louis Rastoin (Montpellier SupAgro UNESCO ‘World Food Systems’ Chair). This Dossier presents over 40 taxonomic and live collections of microbial, plant and animal species. 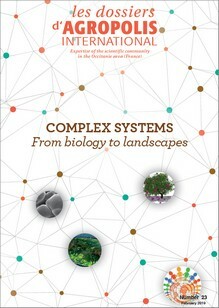 This unique group of collections is highly relevant with respect to plant genetic resources (the scientific community includes several biological resource centres) and its focus on Mediterranean and tropical regions—which makes it a reference of global scope. A growing awareness of the need to preserve the environment has increasingly led to the desire to develop intervention techniques and methods aimed at reducing pollution or, more generally, environmental impact, thus generating new areas of activity. The scientific community gathered by Agropolis International has taken up the research issues raised by the development of these new approaches and new investigation fields. The purpose of this Dossier is to outline the areas of expertise it has been able to develop, both in the field of agricultural techniques as such and in water and waste recycling and recovery (beyond the pollution mitigation aspects), product enhancement in the form of new bio-based materials, and new forms of bioenergy. This research is not solely confined to the development of new technologies but has a broader scope, taking in as well product and process evaluation and eco-design, industrial or territorial ecology, and environmental monitoring. This Dossier also presents the joint efforts of the research and business communities, in particular through competitiveness clusters, to promote the development and dissemination of innovations to spur economic development. The topics presented in this issue are of particular concern to the nine research units or teams that have made environmental technologies an essential part of their work, comprising some 150 senior scientists and 100 doctoral students. Building scientific partnerships today: EMBRAPA's Labex Program in Europe and over the world. Partnership is an essential component of research today. To say that no major question can be settled by a single institute is no novelty. Buiding up and managing multilateral partnerships forms a difficult operation requiring good knowledge of capacities and of the complementary features of those involved. It can be optimised, however, by sending experienced scientists to work with partners with the twin aim of sharing knowledge and prospecting. Sharing knowledge, using their own competences and making partners discover those of the institute that they represent. Prospecting, outside the host team, to find new partnership opportunities within their field of competences that are relevant for the strategy of their institution. 2nd edition. The date related to the research units have been updated on 07/12. The 2006–2008 food crisis and the accompanying hunger riots put agriculture and its crucial role under the media and political spotlight, hence revealing the essential role that agricultural sciences will have to play in the coming years. Agronomists are indeed facing a major challenge—to invent and promote agricultural systems capable of providing a sufficient volume of top quality products to feed around 9 billion people in the future, thus ensuring peoples’ well-being and health, while also minimizing the environmental footprint of farming. Eportal "Agronomy Research Expertise in Montpellier and Languedoc-Roussillon"
Seven years after the first “Dossier d’Agropolis International” on the theme of “Water: resources and management”, it was time for giving an update in order to provide the large number of website visitors (about 120,000 downloads of the Dossier, French and English versions combined) with up-todate information and developing visibility with evidence of the progress made by the Languedoc-Roussillon region’s scientific water community. Readers will also find an updated directory of research, technology transfer and higher education structures. The re-edition of this Dossier in early 2012 is an opportunity to demonstrate the dynamism of the regional water scientific community on the occasion of the 6th World Water Forum held in Marseille, France (12-17 March 2012) and of the international water exhibition Hydrogaia. The term ‘biodiversity’ designates the variety of life forms at all organization levels, including genes, populations, communities and ecosystems, as well as humansbecause of their interactions with all biodiversity components. DURAS Project is like no other. It was designed to support the facilitation role of the Global Forum on Agricultural Research (GFAR) in its effort to promote the opening up of the agricultural research system, particularly by ensuring that research priorities are identified in a participatory fashion and that the less vocal stakeholders, most notably civil society groups, are mobilized and able to meaningfully participate in agricultural research for development (ARD) processes. It was also conceived so that stakeholders could share and exchange information through available interactive regional agricultural information systems. At the heart of DURAS is its competitive grants system. Following an original selection and evaluation process that put a premium on building multi-stakeholder partnership, 12 projects were funded over a period of about three years, each involving an array of disciplines and partners from around the world. This special issue of Dossier d’Agropolis is devoted to these 12 projects. Each article is written by the project participants. It is an attempt to capture in a few pages what is otherwise a complex, if not complicated, experience and the context within which these partnerships were built. It also presents some key results and some lessons learned along the way. The research competences of Montpellier and the Languedoc-Roussillon region within the framework of Labex Europe. This special Agropolis International Dossier devoted to ‘Partnership’ describes the teachings of seven years of functioning of Labex-Europe. Teachings that Embrapa and Agropolis International wish to share. Access to airborne and satellite technology for Earth Observation is a major methodological boon for researchers. This ‘altitude gain’ for monitoring has led to the development of a new approach to assessing territories, providing an overview of the target area and clarifying the distribution of elements within this area. The quality and accuracy of the remote sensing tool are continually being improved. The increase in the number of spaceborne sensors and progress achieved in signal processing have generated new information that can in turn be used in a broad range of scientific fields as well as for decision support. 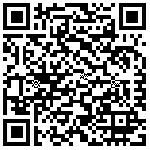 This is the first Dossier devoted to a research and action tool. It presents research on improving this tool, along with examples of its applications to meet needs on different topics. Agropolis International pools several hundreds of scientists involved in soil research and teaching–it is a major European hub of activities in this field, as highlighted in the present document. This Dossier was certified by the French committee of the International Year of Planet Earth, which aims to boost awareness on the role of Earth sciences in the development of human societies. As part of the Université de Montpellier Sud de France initiative, Agropolis International pools 24 multidisciplinary research units focused on these topics, including around 700 researchers and teacher researchers supervising 500 PhD candidates. They form four thematic units that represent pivotal points whose boundaries are flexible due to the complexity of the phenomena involved and global interdependence. Languedoc-Roussillon Region, particularly Montpellier, have recognized long-standing experience in this respect, while hosting many institutions and research units that can be mobilized to focus on aquatic ecosystems and their development: 23 laboratories involving five universities, the CNRS, four specialised institutes and two mixed bodies. Genome diversity analyses and results, and applications for breeding varieties that are more productive and resistant to the main biotic and abiotic stresses present in tropical environments, should be readily accessible to research teams in developing countries. Research and training resources are being focused on a limited number of platforms in the North and South to benefit maximally from the rapid progress in complex integrative biotechnologies.The Agropolis advanced research platform contribution, backed by two proposal requests (1999 and 2001), has very substantial specific advantages. Agropolis International is especially grateful to the French Ministry of Foreign and European Affairs and the Ministry of Higher Education and Research, CIRAD, CNRS, INRA and IRD for their support to this platform. Within the Agropolis International community, about fifty scientists are directly involved in research on biological control as well as several hundred more indirectly. This constitutes the premier French scientific campus of its kind and one of the most important in Europe, dealing with various and complementary competencies such as those covered in the following chapters.